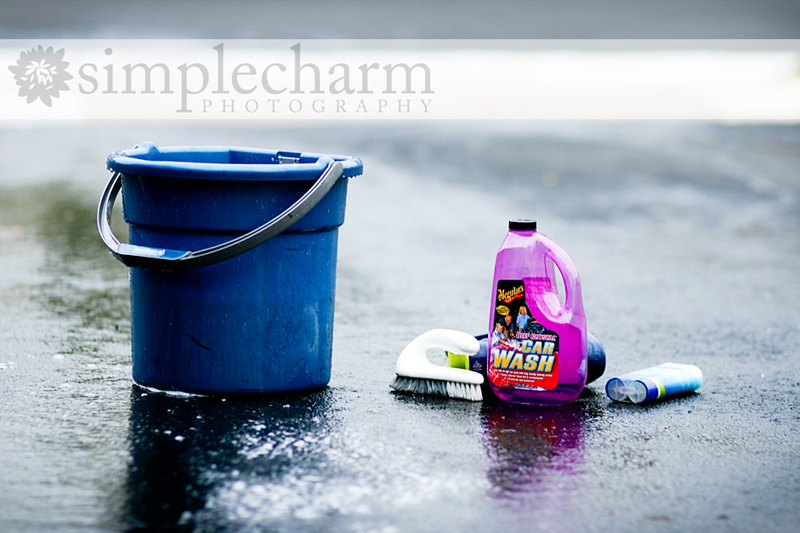 our perfectly imperfect life: Mom, can we wash your car? A couple days ago, Mason and Payton were playing in the front yard. Nika had just woke up and had a massive blow out, so I was getting ready to run upstairs and give her a quick bath. I told Mason to stay in the front yard with Payton where I could see them and that I would be right back down. Mason: Mom, can me and Chicky wash your car? ... and Payton has her shirt, socks and shoes off. The only clothing she had on was soaked to the core, not to mention her little booty was practically hanging out ... hmm, I wonder how that happened! Mason ... any idea? Ha. That's right little lady, get back to work! Ha. This little incident actually reminds me of when Mason tried to help me wash his coat. Ha. That is the best! I love how her pants are completely over her foot in the last picture. When Grace was about 3, I looked outside to find her COMPLETELY naked and sitting in a puddle in the driveway. Her clothes were in a pile by the sidewalk...she didn't want to get them dirty....she would have so much fun getting into trouble with Chicky....Chicky and Goose (Grace) must meet someday :)! This is too cute, Bethany!! Chicky looks like she is having the time of her life. I wish I had that much fun washing my car! I love your kids too! So cute - gotta love how into it Chicky is! Those pictures are priceless. What a stinkin' doll!!! That girl cracks me up! Ohhh! I want a car wash! High of 63 today! So cute!! I can't believe how wet Payton is - but boy does she look like she's having fun! Haha! They sure love to help out on chores, but I must say, that was fast of them to get the whole cleaning gear to the driveway! Maybe next time, you should teach them on how to operate a vacuum cleaner to clean the insides of your car.